Seaweed is used in many countries for very different purposes - directly as food, especially in sushi, as a source of phycocolloids, extraction of compounds with antiviral, antibacterial or antitumor activity and as biofertilizers. About four million tons of seaweed are harvested annually worldwide. Of the various species known, less than 20 account for 90% of the biomass exploited commercially. 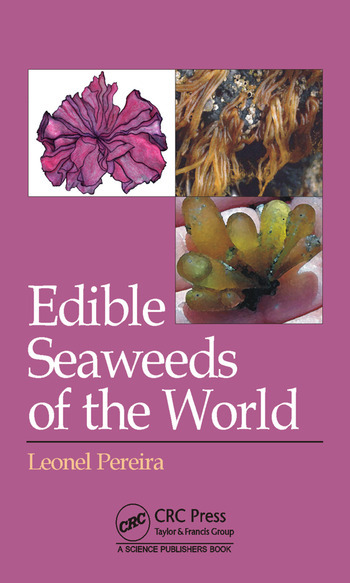 This book details 147 species of edible seaweed, including scientific name and respective common names, geographic location, nutritional composition, uses and is extensively illustrated. Introduction - Role of Algae in Nature, Main Taxonomic Groups of Marine Algae, Importance of Algae for Mankind (Historical Overview), Marine Algae and Health. 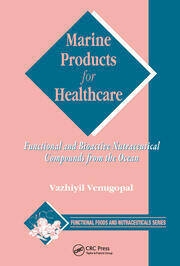 Seaweed and the Food Industry - Phycocolloids, Agar, Alginate, Carrageenan. 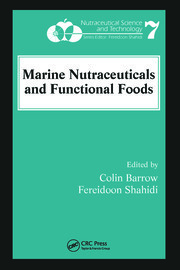 Nutritional Composition of Edible Seaweed - Carbohydrates, Lipids, Proteins, Vitamins, Minerals. Edible Marine Algae Listed by Geographic Region - North Atlantic (Europe and North America) Chlorophyta, Ochrophyta (Phaeophyceae), Rhodophyta. South Atlantic (Africa and South America) Chlorophyta, Ochrophyta, Rhodophyta. Pacific West, Northwest and Southwest (Alaska, California, Mexico, Chile) Chlorophyta, Ochrophyta, Rhodophyta. Pacific Islands (Micronesia, Polynesia, Melanesia) and Hawaii Chlorophyta, Ochrophyta, Rhodophyta. East Asia (China, Japan, Korea) Chlorophyta, Ochrophyta, Rhodophyta. Indo-Pacific (China, Indochina, Philippines, Indonesia, Australia, New Zealand) Chlorophyta, Ochrophyta, Rhodophyta. Bibliography. Index of Species. Index of Common Names. Index of illustrations/photos. Glossary. 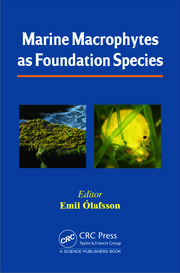 "This book is a worthy successor to Marine Algae: Biodiversity, Taxonomy, Environmental Assessment and Biotechnology…An excellent resource for the beginning phycologist up through experts in the field."